Cynthia’s Health Hut: Surge Training for Sculpting Legs Via Maximized Living. Surge Training (also referred to as Burst training) is when you perform a series of “surges” in your workout followed by the same period of rest. During each surge you are pushing your body to its maximum potential and then resting for the same duration you performed the exercise. How do I start Surge Training? First, warm your body up with some gentle stretches, a brisk walk, or a few basic yoga poses. Once you are ready, choose an exercise. Some ideas are running, biking, using an elliptical machine or a treadmill, swimming, running in place, or even jumping rope. You can be as creative as you would like the idea is to move and use maximum effort for every second of the surge. Now, you want to perform each “Surge” by following the routine below and repeat it 3 times. This should be done 3 times per week – which amounts to 12 minutes of exercise a week. Yes, only 12 minutes!!! Note: Interval times (up to 60 seconds) and the number of surges can be increased for more advanced athletes. What are the benefits of Surge Training? When you are SURGE Training, you are elevating your heart rate and working it to its maximum. Oxygen is rapidly pumping through your body in larger amounts, which helps burn fat in higher quantities and more efficiently. Even when you are resting your body will continue to burn fat and build muscle. The Center for Disease Control (CDC) and the American College of Sports Medicine concluded in 1995 that intermittent, short surges of accumulated exercise increases the body’s anaerobic capacity by 28 percent and increases oxygen intake. Using surge training for weight loss relies on scientific proof to bring you maximized results with targeted effort to drop pounds and inches and to gain a better quality of life. From Make Your Someday Today! 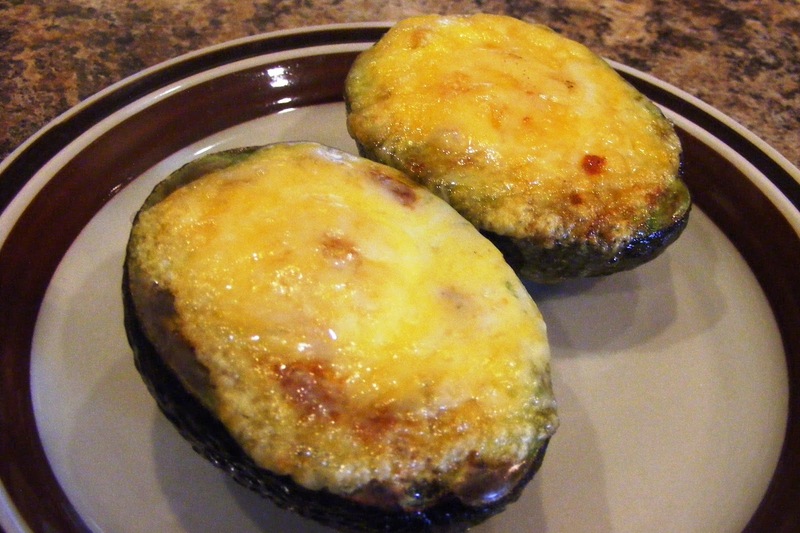 : Broiled Egg-Stuffed Avocado Recipe. Place the top rack in your oven to the highest level. Turn broiler on “high”. Choose a ripe avocado. (An avocado is ripe when the stem end yields under gentle pressure from your thumb. The skin will also be a dark brown, near-black. Slice the avocado in half (through he poles and not around the equator) and remove the seed. The seed will be easily removed by chopping your knife partway into the seed and then giving it a twist. Score the avocado through the meat but not through the skin, to allow the hot sauce to seep in. Sprinkle the hot sauce on the avocado. Fill the hole where the seed was with an egg yolk. If there is extra room, add some of the egg white. Place on top rack under the broiler for 3 minutes. Place cheese on top, and return to broiler until the cheese melts 1-2 minutes. Avocados are filled with wonderful vitamins and nutrients that are great for your health. These fruits contain vitamins A, C and E, all of which provide a wealth of health benefits. Furthermore, nutrients like potassium, lutein and folate are found in high amounts in avocados. Antioxidants, which are great for preventing disease, are also found in large amounts in avocados, giving you just one more reason to enjoy this delicious fruit. As mentioned before, the fats in avocados may make some individuals wary of eating them. However, avocados contain monounsaturated fats, which can actually improve your health.